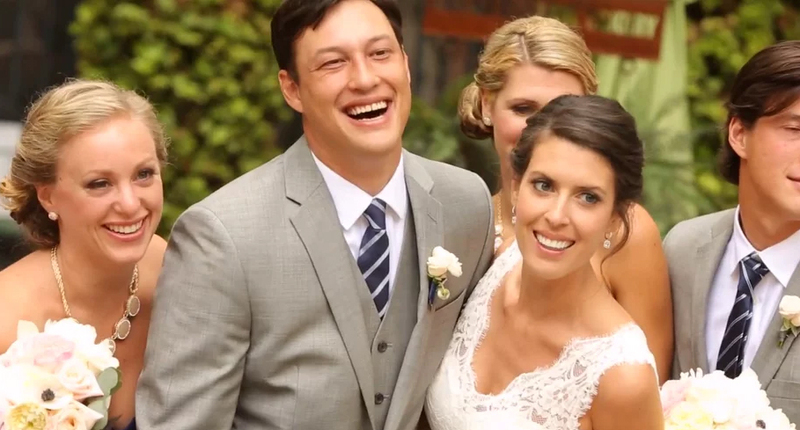 Video footage from your wedding day is a great way to preserve those special moments for years to come. Aaron Horton of Aaron Horton Productions is giving us an inside look at the life of videographer and sharing his advice on hiring one for your big day. What is your advice to anyone who wants to hire a videographer for their big day? Go with referrals from friends AND other vendors in our community. The Seattle wedding community is small, everyone knows everyone else. While there are vendors that have consistently come and gone in the last 15 years, there are also many who have been solid reputable companies who have grown and served their clients for over a decade. These strong roots in the community are important for someone considering hiring a professional. When a vendor recommends another vendor, they feel a responsibility for that recommendation’s quality of service. In addition, you want a team that works well and cohesive as a unit… one that has a shared goal is to make the couple happy. I highly recommend that couples request a FULL finished product. Almost anyone can take the best clips from an event and throw together a decent online video, but you should have a very good idea of what to expect in a full finished product. When you buy a car, you don’t just look in the trunk to see if you like it. You need to know exactly what you are receiving so you can make the most informed decision. I love my job because it is always a new challenge. I get paid to join families in what is always one of the happiest days of their lives, and at the end of the day, I feel responsible for preserving that feeling. Couples always tell me that when they sit down months after their wedding, they watch the video and start to feel the exact same emotions they felt as their day unfolded; nervous when they were getting ready, happy and excited during their first glance, tearful during a toast, or elated watching a sendoff. It’s quite an honor (and rewarding) to be able to tell someone’s story in a way that makes them feel so much emotion. What is the one item you won’t attend a wedding without? How about 20 items? And then backups of those 20 items!!!! I don’t have the luxury of doing re-takes. It’s my job to be everywhere and capture everything naturally. That said, I have to have all the equipment and backup to make sure that I can anticipate anything. My goal is to be the lowest maintenance team member at a wedding. I’ve done that for 15 years now by making sure that I’m prepared for anything. If really pressed, maybe I’d say comfortable dress shoes?